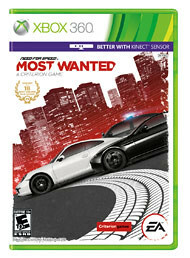 Conceived of by Criterion Games as more of a reboot than a sequel, 2012’s Need For Speed: Most Wanted applies the basic premise of the 2005 original NFS: Most Wanted to the unrestricted exploration of Burnout Paradise . Players are tasked with climbing the list of most wanted drivers in the city of Fairhaven while breakin’ billboards and chain link fences and acquiring new rides. Why? 'cause. And that’s the problem. While all the elements are in place for a fantastic reboot, the lack of story kills a goodly part of this game’s driving force. What's more, making all the best cars immediately available (once discovered) should kill what's left of the motivation to commandeer and race with all the other cars ... but it doesn’t. Little things that shouldn’t bug me about a racing game bug me about this racing game. First off, there’s no frame story. 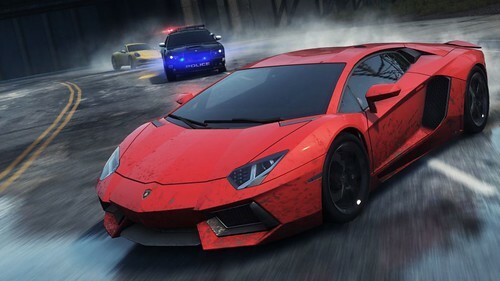 Sure, it’s a racing game, but it’s a Need for Speed: Most Wanted game. While getting to the finish line and avoiding the cops to get the fastest car(s) is the gist of what needs to be done, the lack of motivation for doing so is almost completely disheartening given the colorfully kitsch effort put forth in the original. So the player’s goal then becomes centered on climbing a totem pole of anonymity to carve in his or her gamertag. This is a huge whoop-de-doo, especially considering, as mentioned above, that all the cars are already available! Granted, if someone doesn’t feel like roaming around the city to find the supercars, then working through the list is the fastest way to attain them. This does put emphasis on the Most Wanted gameplay, but again evokes some hostility when comparing iterations. There’s no risk and no real reason to care: the win is impersonal, and any new car is just another car. NFS: Most Wanted 2005 works according to its street racing rules: if a player beats a Blacklist racer, that player has the chance at winning that racer’s car from a blind luck draw of two from six face-down markers. 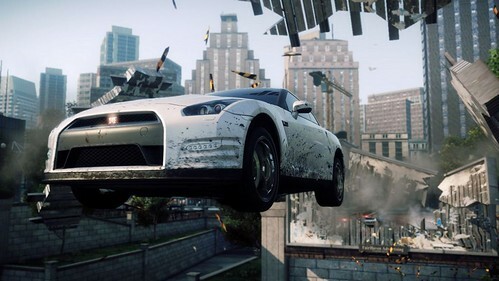 NFS: Most Wanted 2012 offers a little more certainty. Once a Most Wanted car is beaten, all players have to do is shut it down to add it to their own garage. This is straight out of the Burnout Paradise playbook, and seeing that the cars are always respawning near the player, there are ample opportunities to take down that car. So there’s no risk and no real reason to care: the win is impersonal, and any new car is just another car. 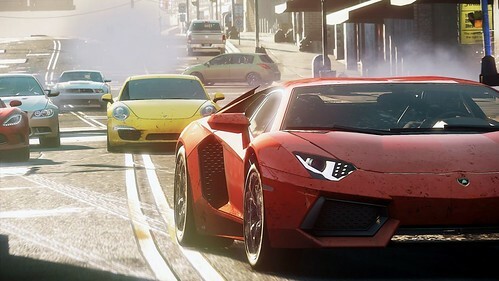 Although the game offers over fifty drivable cars (and more coming via DLC), there are only three types of events — race, speed run, ambush — and a dozen or so distinct routes. Races can be sprints or circuits and can get downright vicious, especially when the Fairhaven Five-0 get involved; speed runs are frustratingly fulfilling challenges that put driving skills to the utmost test; and ambushes task players with escaping after dropping them right in the middle of wailing sirens, red and blue flashing light arrays, and several blaring bullhorns. The routes become familiar, there are no consequences for getting busted by the cops, and most of the performance-modifiable cars have more or less the same feel within their respective stock, muscle, sports, exotic, and truck classes. However, there are standout cars that deliver distinct experiences. The Bugatti Veyron makes me feel like I’m in a wheeled rocket, and the Tesla Roadster’s silence is absolutely surreal to the point of disorientation. These effects, however, do not make up for the letdown experienced at the start of a race, the "oh, right ... this track again." The Autolog system's synching of a player’s offline achievements with those of their friends and the ability to send and receive challenges for specific events foster the possibility of perpetual grudge matches. In large part, that sense of disappointment comes from the fact that all sprint races in this “open world” are checkpoint races — routes in which the player must pass though specific marked locations or be penalized until their faux pas is rectified. 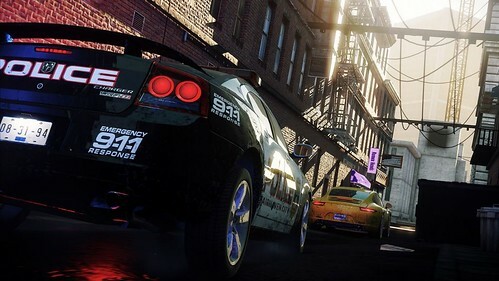 There is some leeway given for shortcuts à la the original NFS: Most Wanted , but races do not allow for the completely improvised routes of Burnout Paradise and thereby restrict players from exploiting the open avenues of the highly interconnected environment. This is less of a whine about having to be precise than it is a lament of the lack of true driving freedom. Single-player gameplay would turn into a monotonous string of finish-line placements if it weren’t for the Autolog system. The synching of a player’s offline jump, speed, billboard, security gate, and jackspot achievements with those of their friends, in addition to the ability to send and receive challenges for specific events, fosters the possibility of perpetual grudge matches. This is all made possible due to the open, drivable city of Fairhaven, which, like Paradise City in Burnout Paradise , has a lot to offer in terms of off-road areas, downtown and rural areas, jumps, and tunnels. One thing this NFS: Most Wanted improves upon from the original is the precision of surface contours. Gone are the crash-inducing, invisible walls caused by bad code in the 2005 game. In this version, the only way surfaces can cause calamity is if they look like they can. If a building appears to have intermittent columns that jut just slightly from its surface ... it does, and they can be hit. Other details that realistically emulate rage-inducing road conditions include sun glare, the harshness of the exposure to “natural” light after exiting a tunnel, and dust clouds from cars in off-road races. I’m not a slave to sequential iterations of racing games, but I do tire of tracks abandoned by both creator and online audience. Once the challenge leaves, the game is shelved — perhaps to be revisited some nostalgic night in some distant future. What fills that meantime gap? If a craving for high-adrenaline racing with a bit of mischief mixed in is the symptom, then 2012’s Need for Speed: Most Wanted is the side effect-riddled prescription. It may not be perfect, but the racing is fun and challenging to the point of obsession, and online multiplayer adds the humanity the single-player game completely lacks. Once the online community leaves this game for the next one, however, the lack of story means there is absolutely no reason to return to Fairfield.